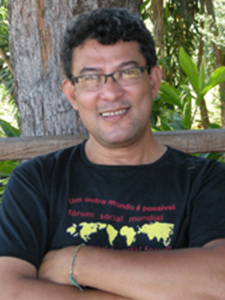 For more than 30 years, Julián has worked in the fields of popular and formal education, community development, capacity building, facilitation of processes, communications, fundraising, and other development-related fields. He has worked for a number of public institutions (including the Ministry of Education and the Supreme Electoral Court of Nicaragua), educational institutions, and non-profit organizations, including international NGO’s. Over the course of his career, Julián has had the opportunity to work with a wide variety of civil society organizations in Latin America, Europe, and Africa, as a consultant, trainer and processes facilitator. He arrived at Seeds of Learning in April 2011, motivated by the opportunity to contribute to one of the fields for which he feels real passion: education. Julián is strongly committed to SOL’s work model. He feels it offers a diverse range of opportunities for quality education in developing communities. Julián is a trained elementary school teacher and has a BA in Translation from the University of Central America in Managua. He has post-graduate diplomas in Peace Studies and the Legal Framework for Mentally Disabled Persons, from the European Peace University and the New York Law School. One of his hobbies, information technology, has allowed him to develop advanced skills in the areas of website development, PC repair and maintenance, and the use of open source software as a tool for community development.